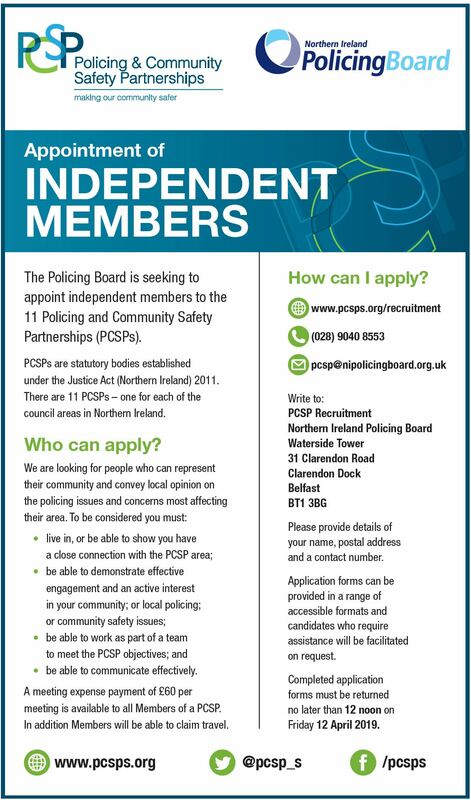 The Policing Board is currently processing applications for independent Policing and Community Safety Partnership (PCSP) members to work with the community, the police and a range of bodies to deliver safer neighbourhoods. Get an update on the process with our handy timeline film. Read our information booklet to find out all you need to know. Need more information? Access our FAQs here.